St. Valentine is a story about some of the legends told of St. Valentine and how the day of February 14th came about. 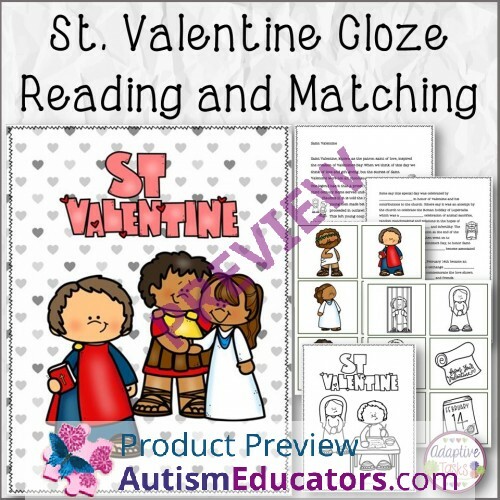 To follow there is a cloze reading worksheet, file folder match and a coloring page. 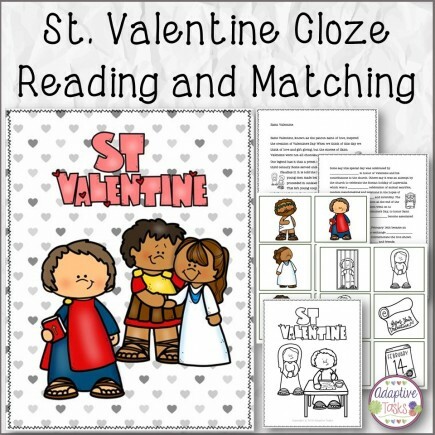 Great for Valentine's Day theme, reading, and independent tasks. 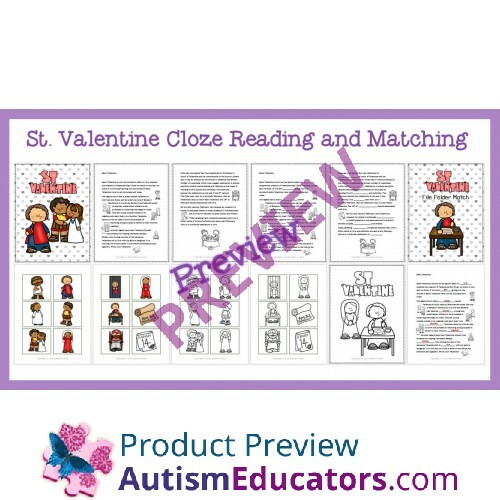 Given informational text related to a holiday or event (Valentine's Day), STUDENT will read or listen t the passage in order to provide responses to fill-in-the-blank and matching activities, with 80% accuracy, in 4 out of 5 opportunities, by MONTH, YEAR.